Port Adelaide is our home base but don’t let that stop you because having 3 vans on the road we can service just about anywhere. We find that people living in the western suburbs are most likely to utilise our workshop facilities but we still get people from all over Adelaide. 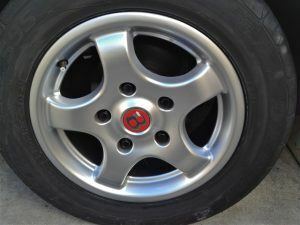 If you’re looking for western suburbs alloy wheel repairs we are your people. There are so many causes of alloy wheel damage, kerb damage, pot holes, poor road conditions or even some cleaning products promising more than they can deliver. Whatever the cause most alloy damage can be repaired in less than an hour, some even as quick as 30 minutes. Western Suburbs alloy repairs is one service you just can’t go past. Professional, courteous, affordable repairs with a quality finish. Money is too hard to earn, why replace an entire alloy when it can be cosmetically repaired for a fraction of the cost. Our technicians take pride in every repair they do whether it’s a Bentley rim or just your general run about. Looking for alloy wheels repairs in the western suburbs couldn’t be easier. No reason to be without your vehicle for days on end. If you’re looking to sell your vehicle and getting interest until they look at your alloys then this is ideal. It could be the best money you ever spend with a quick repair getting you a far better return at the time of sale. Western suburbs alloy repairs can put a smile on your face and extra money in your pocket. 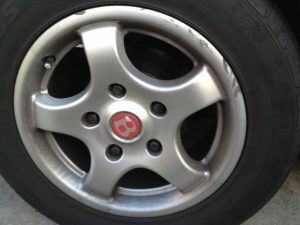 This entry was posted in western suburbs alloy repairs and tagged western suburbs alloy wheel repairs. Bookmark the permalink.